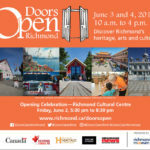 The 10th Doors Open Richmond is a free weekend-long, city wide public celebration of arts, heritage and culture. Choose from 42 heritage sites, museums, places of worship, green spaces, specialty business, art galleries and artist studios. Friday June 2, 5:30 – 8:30 pm. 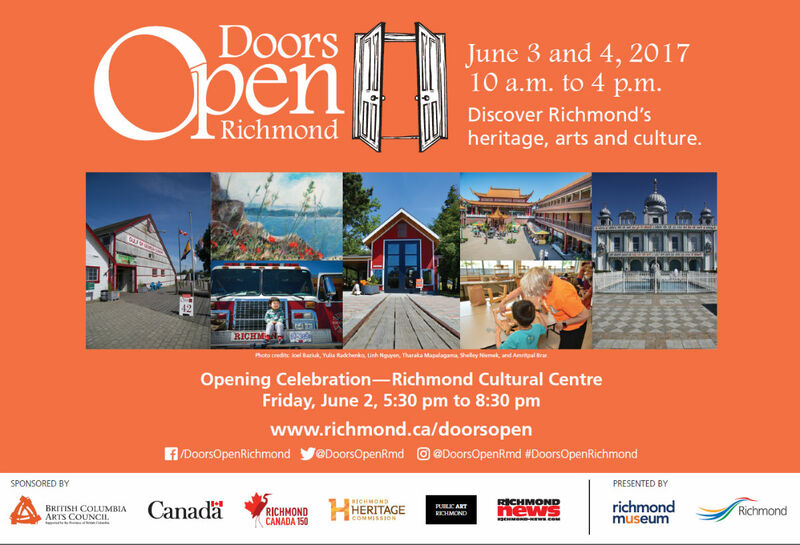 Join us for the opening celebration of the 10th Doors Open Richmond and begin exploring the richness of the City’s heritage, arts and culture. The Richmond Cultural Centre and Plaza will be filled with live music and family activities. Two food trucks offering classic comfort food for sale will be parked on site. Enjoy an evening in the cultural heart of Richmond.